You've got a great melody, wrote some vocals, and now you need to set the background music to make your song come alive. 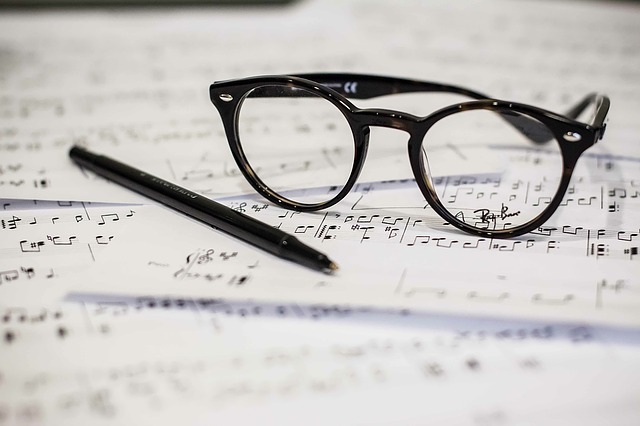 If you don't have the necessary skills to notate your music, you can get a composer for hire to help you with writing your background music. You could also use various ambient music composition techniques to create music that works with your song and vocals. The best option for a songwriter that has an idea of what they want the song to sound like is to hire a professional to help with the background lyrics, and in the meantime, begin learning to compose their own background music. So, let's take a look at some key techniques you're going to need if you want to compose your own background music. If you’re serious about learning to write your own background music, you need to learn about musical notation. Once you can notate your ideas, learn about chords, chord progressions, and key signatures. 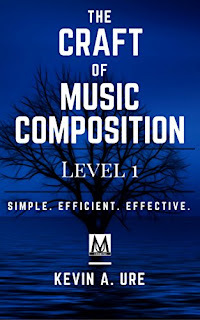 If you only develop a basic understanding of how chords work and learn about the basic key signatures, you can gradually build upon that knowledge through experience and by composing daily. The best option for learning to create your own background music is to take a complete tonal theory course so that you can analyze other composers music and learn from their writings. 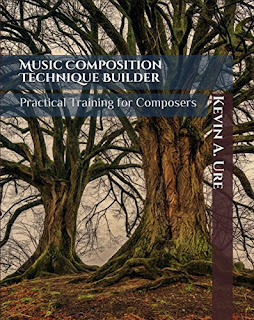 Without an understanding of the mechanics of music, you're going to miss out on a whole world of music composition techniques and concepts that would help you to improve your music. Key signatures are important for most melodic music. Many modern composers don't use key signatures at all since the music tends to be more chromatic and a key signature doesn't accurately reflect the music being played. For most composers, especially those just starting out, a key signature can help you stay on track and focused. Key signatures can indicate whether a piece is major or minor and the type of scale used to create the piece. There aren't any key signatures to indicate other scales, such as diminished, octatonic, augmented, whole tone scales and others. Review the information on the circle of fifths and key signatures before you begin to write your music. If you don't know how to identify key signatures, this is something you should learn about before you attempt to write background music. There are four basic types of chords: major, minor, augmented and diminished chords. If you don't know what these chords are, you can learn more about them by reading about chordal dissonance. These chords provide the basis for most pop, rock, and classical music. Regardless of the style of music you write, it's important that you take these subjects seriously so that you can begin to write your own chord progressions. Once you learn about the chords, there is a neat little trick that you can use to write progressions. Figure out what key you're in before you write your chord progression. If you don't know how to do this, then look at your melody. What note does the melody revolve around? Does it start and end on the same pitch? If it does, chances are good that the note your melody starts and ends on is the name of the key. For example, if you have a melody that begins and ends on C, then you are very likely either in C Major or C minor. This is why you need some basic music theory so that you can analyze your own music. Select your first chord to fit your melody. When possible, choose a chord where the root is the same as the key. So, if you're in C Major, then use a C Major chord. Simple, right?Even if you don't choose the C Major chord, make sure that for any chord you use, one of the notes in the chord lines up with the corresponding pitches in the melody. For example, if you have a melody with a D in it, then there should be a D in the chord that supports the melody as well. The D can be the root, third, or fifth of the chord, but it works best when you can duplicate the D in the root or the fifth. You want to avoid the third because the third is what determines the quality of the chord, and it's a powerful note that will stick out. Move to a new chord. This is going to require you to use your ear and move to the next chord when it feels right in the composition. However, if you want to create an effective chord progression, then you also need to pay attention to what chord you use. When moving between chords, try and choose chords that have at least one tone in common with the previous chord in the progression. For example, if you move from C Major to D Major, that wouldn't be a very smooth chord progression since there are no common tones between the C Major (C, E, G) chord and the D Major (D, F#, A) chord. A better chord progression would be from C Major to G Major (G, B, D). Still, better yet would be from C Major to E minor (E, G, B). Why? Because E minor has two notes in common with C Major and this makes for a smoother progression. Fill out the rest of the chords to match your melody, and always use your ear to help guide you with your choices. There is one exception, while you are learning more about chord progressions, you can use a little shortcut to end your progression. Use a V or IV chord as the second to last chord in your progression, and end on the first chord you started with. You can figure out the V or IV chord by counting up five musical letter names from the original pitch to find the V chord or four letter names to find the IV chord. Make sure that the V or IV chord is in major. Okay, so you insist that you don't want to learn how to write music using the methods that composers have used for centuries. That's fine, but your music is probably going to lack depth and originality. 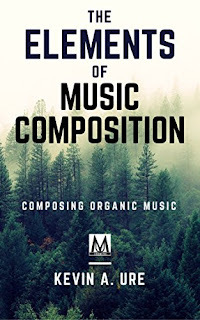 However, for those of you that just want to create some basic background sounds, you can invest in some loops and pre-created samples that you can then use in a digital audio workstation to create background effects. Programs like Logic Pro and Sonar often provide loops of pre-recorded material that you can use. You can pick and choose from the available options and preview what the music is going to sound like. This is an option that requires absolutely no musical skill, but depending on how naturally talented you are, you can get creative and combine these pre-existing loops into something new and interesting. There is an art form to creating effective electronic music and it can end up taking just as much effort as learning to write music using traditional methods.